Should You Buy a Car Before Interest Rates Go Up? The next rate hike is predicted to come in December. According to Benjamin Franklin, there are only two certainties in life: death and taxes. We’ll dare to challenge our founding father’s timeless wisdom and say there are actually three: death, taxes and rising interest rates in the midst of a strong economy. 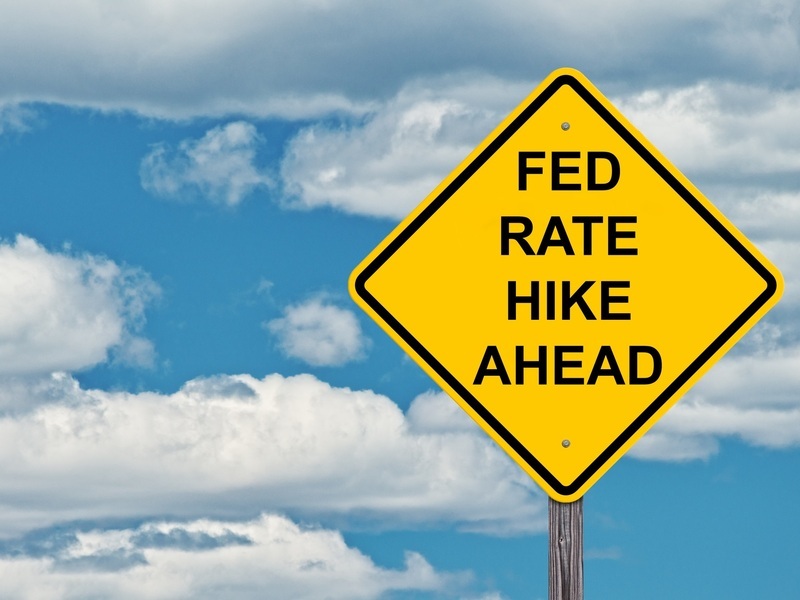 Climbing interest rates aren’t as hard to swallow as the first two, but with the Fed's recent rate hike in September, another scheduled for December, and several more predicted for next year, it's important to understand the impact they can have on your car purchase. Last month, the Fed raised the fund rate from 2% to 2.25% which was the third increase in 2018. There is another hike forecasted for the end of the year and experts say that there are an additional two or three on deck for next year. On one hand, we can look at this as a good sign of a booming economy with unemployment at its lowest rate in 49 years, strong economic grown and stable inflation. On the other hand, the steady increases mean you'll have to pony up more on your credit card interest, variable-rate mortgage and if you're shopping for a car, your auto loan interest rate. Auto loans can come with either a fixed or variable interest rate. A fixed-rate loan means your interest rate will be determined when you're approved for your car loan and will stay consistent throughout the entirety of your loan term. A variable-rate loan, on the other hand, will directly follow the trends of the Fed's rate. This prime rate is what banks use to lend money to one another and it's a guideline for what an ideal borrower would receive as an interest rate. A variable-rate loan is less common and riskier than a fixed-rate loan because you can't predict what your monthly payments will be in the future. Although it makes it difficult to budget for the auto loan payments, car buyers will sign off on a variable-rate loan if they believe they can pay it off quickly enough where future rate hikes aren't a major concern. They may also be lured in with a lower initial interest rate than they can get from a traditional, fixed-rate loan and they are willing to take the gamble. The federal interest rate hikes will have a more drastic impact on variable car loans since the rate for this loan type will continue to climb with each upcoming hike. For a new, fixed-rate car loan, September's .25% increase will result in a monthly jump of about $3 on a $25,000 loan. Not necessarily a deal breaker. Will you benefit from buying your car before the next rate hike in December and locking in a lower interest rate now? While each individual rate hike doesn't drastically increase your monthly payment, they can add up if you drag your feet too long into next year. Our stance is simple: if you're ready to buy, why pay a penny more in interest than you have to? Not quite ready to pull the trigger on your new car before December or stuck in a current loan with a sky-high interest rate? There are alternative ways to get a lower rate on a new car loan or reduce how much you pay in interest on your current car loan. If your credit score is not in the 'excellent' category, you can improve your score by paying credit cards down below 50% of their limit and canceling high rate credit accounts. It's also a good idea to get your hands on your credit report and check for any errors so you can dispute them. Your credit score is a top factor that determines your interest rate when you apply for your car loan and can have a much greater impact than beating out the Fed's next hike. Auto lenders compete for their borrowers' business and they can choose to keep interest rates low despite the Fed's steady increases. It pays for you to rate shop for your car loan by getting pre-approval from multiple lenders before going into the dealership to purchase your car. Pre-approval will give you leverage to negotiate your loan rates even if you choose to ultimately go with the dealership's finance offer. If you signed off on a car loan with a higher interest rate than you're comfortable with, you don't have to be stuck with it until you pay off the loan. Just like you can shop around for your car loan rates before the purchase, you can also get refinance quotes to see if you can lower your interest rate. If you're in a high interest loan currently, it is a good idea to start the refinance process before the upcoming rate hikes.